I’ve not taken part in #stitchingsanta before, organised by Sheila of #sewchet, but I really enjoyed it! It certainly brought a little buzz back into Christmas, especially since I left it until the 27th to open as we were visiting rellies this year. Who knew that my secret crafter would have the same size feet as me? Well, the shoe box revealed so, not that that’s got anything to do with crafting, or Christmas, just saying. As a tea and chocolate lover, I did enjoy those little extras! 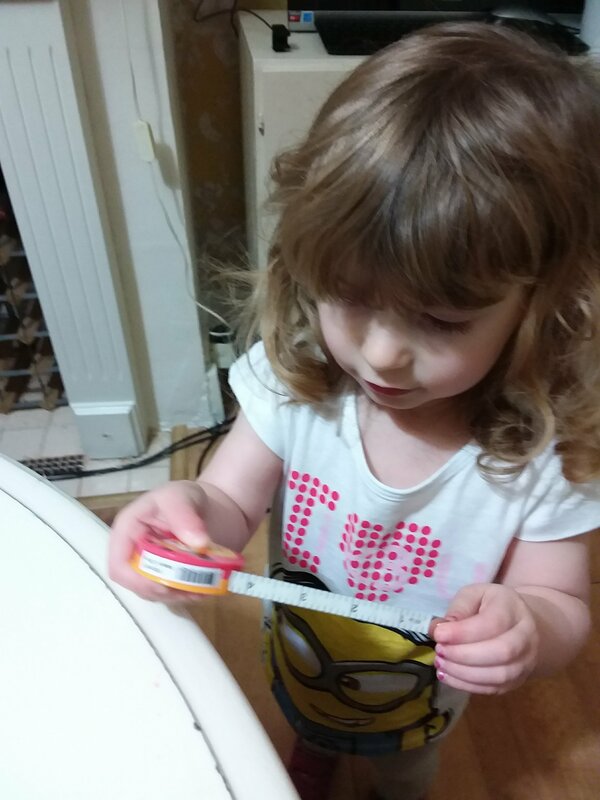 Hazel immediately adopted the giraffe measuring tape! Whether that was the intention or not, there’s no getting that back. Hurrah – pattern weights! I’ve needed these for ages, especially for when I make small clothes. It’s hard to trace delicate pieces with a tin of baked beans in the way. I love the little tin and the ribbon. Annoyingly, I forgot to photograph the fabric. But it’s a lovely little design and so soft. It’ll make its way into something for Hazel. 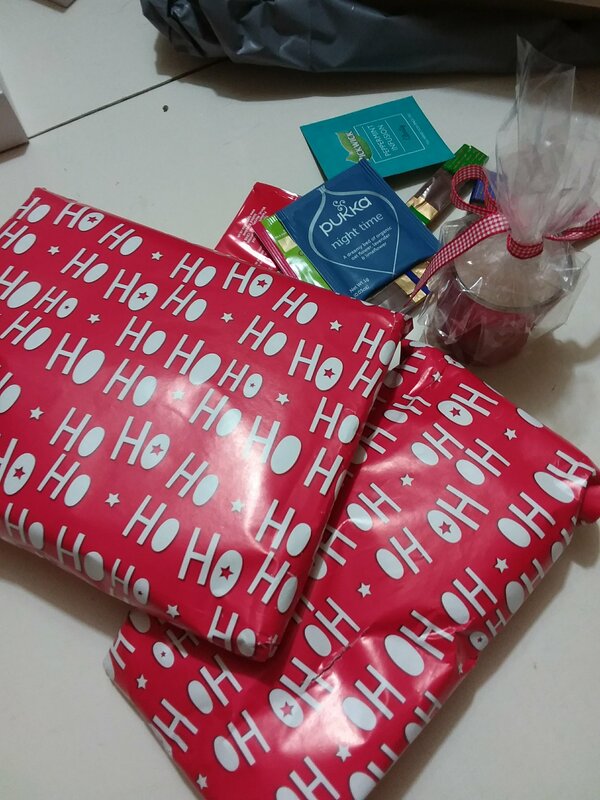 Now of course I realise that I should have revealed who I was to my giftee -doh. 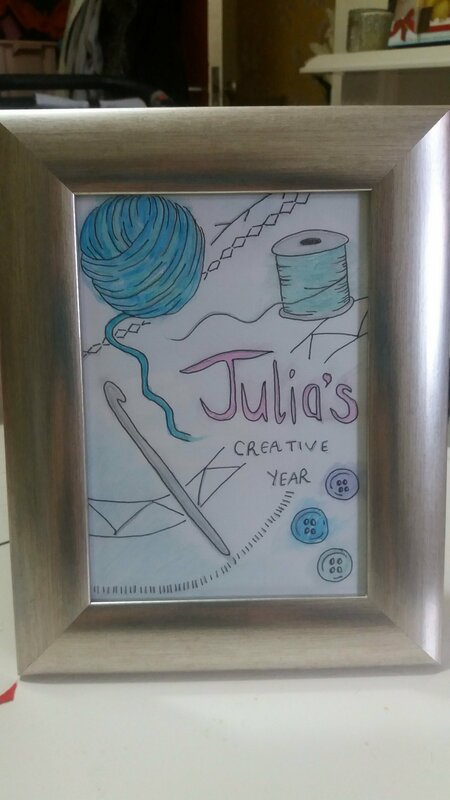 I was Julia’s yarny recipient this year – it was so easy to find things that she would like. And then I received yarny gifts from Kim, so we have a lot in common, despite not being directly involved with each other as part of Stitching Santa. 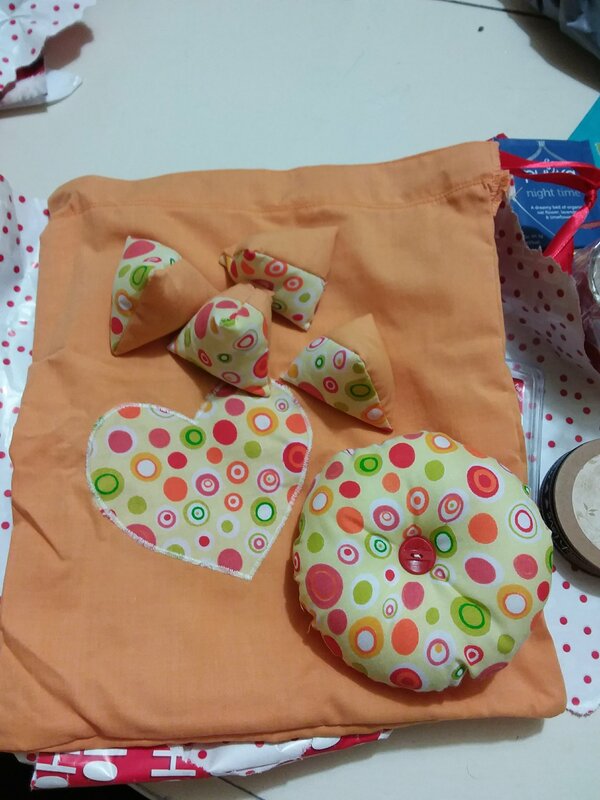 I too have pattern weights, bag and pincushion from Kim just like yours – they are getting plenty use here. I’ve loved seeing the contents of all these parcels and I’ll certainly be taking part next year is Sheila is up for arranging it again. Oh what a funny coincidence! Yes its such a lovely way to make new friends. Thank you so much for my stitching santa gifts. I finally got to pick the parcel up from the depot after 2 weeks in India. I shall blog about it shortly, but i wanted to say thank you here as I LOVE all my gifts.